You're invited to our Winter 2018 launch party! This past semester, we had the pleasure of reviewing all your wonderful poetry, prose, and visual submissions. Since then, we’ve been hard at work designing the UC Review’s Winter 2018 edition: (un)familiar. We like it and we hope you will too. 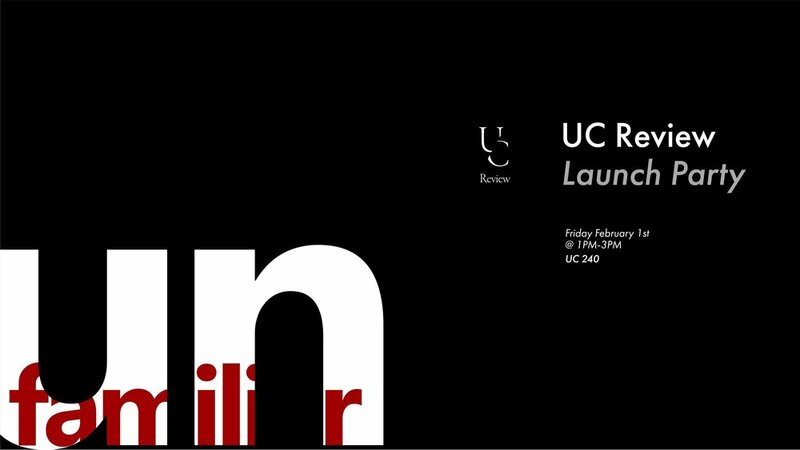 We’re thus thrilled to invite you to the launch party of (un)familiar on February 1st from 1:00–3:00 pm at UC240. Drop by to pick up a copy and stick around for readings from contributors, familiar snacks, and good company! Need help finding UC240? Check out our guide below! Awakening: Spring 2019 submissions now open! The UC Review is delighted to announce our Spring 2019 Call for Submissions! We will be accepting all types of written and visual work, as well as digital and multimedia creations. As is tradition for our second edition of each academic year, we will be accepting submissions from alumni of University College in addition to all current U of T undergraduate students. Visit ucreview.ca/submit for instructions on how to submit your work. The deadline to submit is Thursday, February 7 at 11:59 pm.